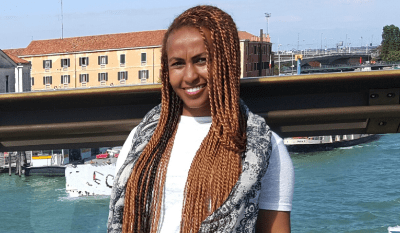 Mount Sinai College and the Australian Friends of the Hebrew University will co-host an event at the college to profile a young Israeli student of Ethiopian origin, Zuresh Wabbe. Zuresh will be introduced by Mr Chaim Guggenheim, VP Development at The Feuerstein Institute in Israel, who is accompanying her on her visit to Australia. Despite a difficult move to Israel in 1998, seeing her family living in a crowded absorption camp with several other immigrants and not speaking the language, compounded by Zuresh looking and sounding different at school and coming from a cultural background which was very dissimilar to her classmates, she strived to succeed, learned Hebrew and English and slowly rose to the top of her class. Zuresh first discovered TFI during her army service. She was selected to participate in the Amir program, which provides specialised training rooted in the Feuerstein Method to Ethiopian Israeli cadets who demonstrate great potential, despite underperforming on the army entrance exams. Zuresh was a model student, and through the program, was able to achieve the status of Lieutenant in the Air Force. She also served in the elite officer training program. Zuresh’s family highly values education. All her siblings have earned secondary degrees from colleges and vocational schools. Zuresh has been a social activist from a young age, with a particular interest in at-risk youth. Her passion made psychology the obvious choice for a future profession. However, despite earlier academic achievements, she was unable to attain the score of 700 on the university entrance exam required for admission to Hebrew University of Jerusalem’s Faculty of Psychology. Determined to get into her “dream university” and study the subject she was passionate about, she returned to Feuerstein and applied to the Aim Higher program. She was accepted into the school and program of her choice. Zuresh was provided with full academic, financial, cognitive and social support – factors she attributes to her academic success. She plans to further her education and pursue a Master’s degree in Psychology. Her goal is to “give back” to her community by working with child immigrants from Ethiopia. Mount Sinai College is going into its fourth year of implementing the Feuerstein program. 2018 will see all students in various ways, benefiting from the program. Staff will be trained in the Feuerstein program in January 2018 (by the ISV Melbourne Trainers). A note that we have also attracted many professionals from outside the school to our January Feuerstein training, including those in adult education, addictive medicine, teachers of children from 3 – 18 years old and parents.  Both Feuerstein program, Instrumental Enrichment and Tactile programs are offered to the children. The Feuerstein Method is originated by Prof. Reuven Feuerstein (1921-2014) who was a clinical, developmental and cognitive psychologist. He was renowned for his groundbreaking work in demonstrating that intelligence is not fixed but modifiable. He thought that we need to teach the vitally important – and often overlooked – skill of learning how to learn. In his unique educational approach, he combined specially designed instruments and mediation 1 in order to identify and enhance an individual’s learning potential. As a result, the learner gains the knowledge and tools required to reach beyond their manifest abilities. The Feuerstein Method is comprised of two applied learning systems; the Learning Propensity Assessment Device (LPAD) and Instrumental Enrichment (IE). The goal of the LPAD is to identify an individual’s learning potential – how one learns best and how extensive one can learn.